Damage seen from inside Notre Dame Cathedral in Paris on Tuesday. President Emmanuel Macron has set a five-year goal to rebuild the cathedral after Monday's blaze. The outpouring of support was a marked contrast with lackluster fundraising efforts before the fire, when cathedral backers struggled to raise money for basic repairs. The idea was even floated last year to charge admission to the cathedral, but the proposal was quickly rejected by French bishops. "Isn't it interesting how obvious it's become that Notre Dame is so many different things," said Bob Kissane, chairman of CCS Fundraising, which helped raise money for the renovation of St. Patrick's Cathedral in New York. "It's a symbol of faith. It's an architectural masterpiece. It's a cultural place. It's a tourist attraction. It's so many things." 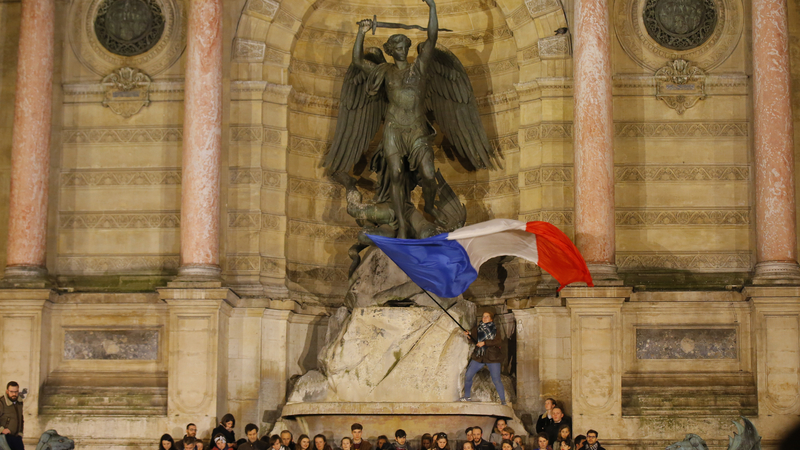 French President Emmanuel Macron, in a televised speech Tuesday night, said the cathedral could be reconstructed in five years. The Bettencourt Meyers family, owners of the French cosmetic company L'Oréal, said they and the Bettencourt Schueller Foundation will donate 200 million euros. In the United States, private-equity tycoon Henry Kravis and his wife, Marie-Josée Kravis, pledged $10 million and Apple CEO Tim Cook tweeted that his company will donate an unspecified amount to the rebuilding efforts "for future generations." With wealthy benefactors writing big checks, ordinary citizens might be expected to put their pocketbooks away, assuming the need has already been met. But the high-profile donations to Notre Dame have had the opposite effect. "If the owners of L'Oreal think that it's important to give 200 million euros, then they're saying this is a really important effort," said Lise Vesterlund, an economist at the University of Pittsburgh who studies charitable giving. 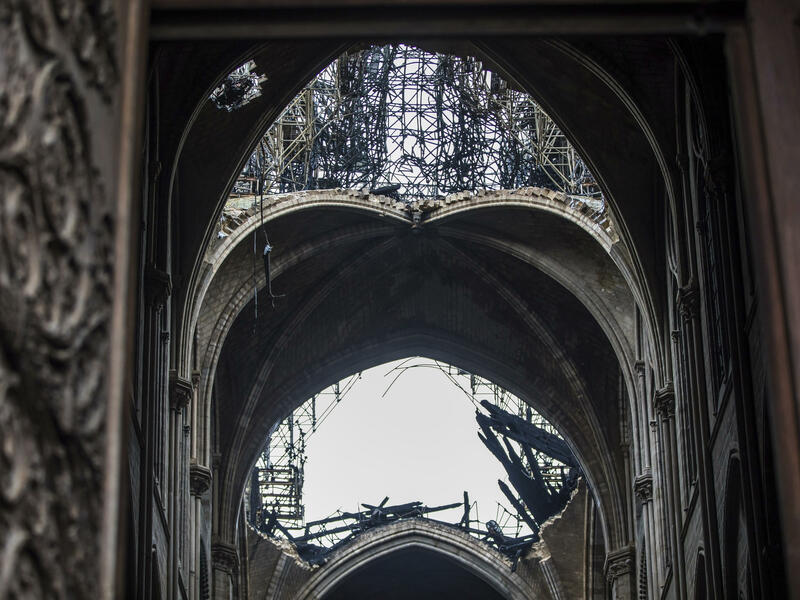 She said observers get the message that, "We need to very quickly raise the money so that we can rebuild this amazing cathedral that we all love and enjoy."